More and more of America’s young people are coming to grips with a nasty truth: college can be incredibly, stupidly expensive. 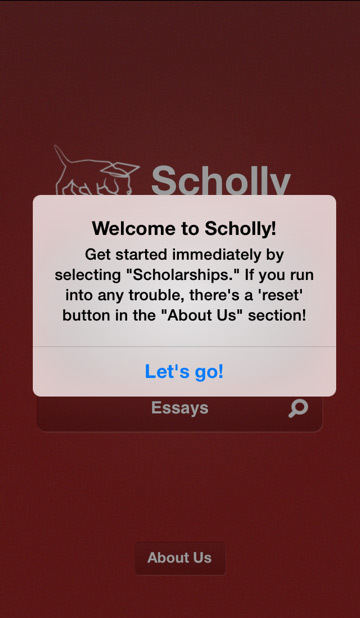 Drexel University student (and Philadelphia Dorm Room Fund member) Christopher Gray knows that all too well, so he and partners Bryson Alef and Nick Pirollo developed a mobile app called Scholly to help students easily search for scholarships. 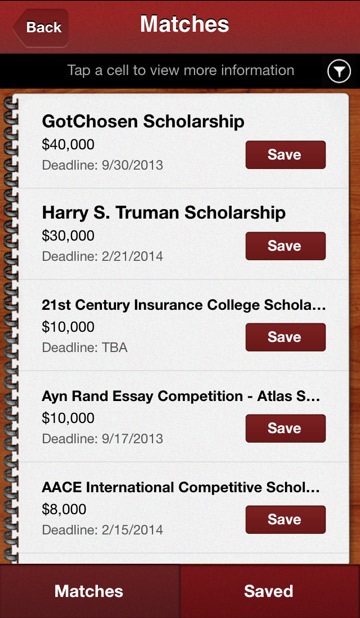 Here’s how it works: once you’ve installed the app and fired it up, you’re prompted to divulge a bit of personal (but not identifiable) information to help find scholarships that you fit the criteria for. It’s all very basic stuff — the state you live in, race, GPA, gender, major, and grade are all there, and you’re given a choice between need and merit-based scholarships. There are also what Gray calls miscellaneous factors to be aware of: if you’re an athlete, a vegetarian, or Jewish (among other things), there are specific scholarships you should know about. And just in case you need a little help nailing those pesky application essays, Scholly comes with a handful of examples of successful ones to help get the juices flowing. Of course, not every scholarship out there is completely on the up-and-up, which is why Gray and his partners manually curate the database themselves. All of the scholarships in the app were ones that Gray or his acquaintances had themselves received, or culled from school-sanctioned lists and prominent corporate programs (think Google, McDonald’s, Walmart, and the like). 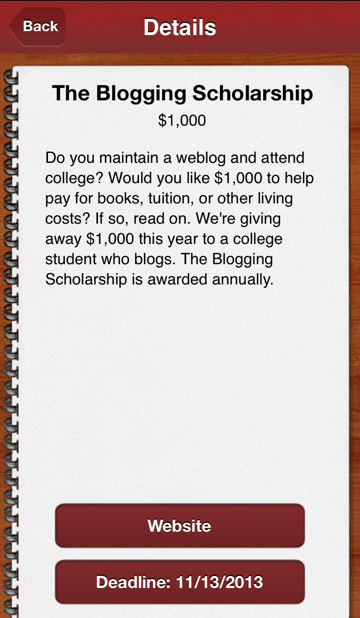 That fastidiousness is a blessing and a curse — scholarships listed in Scholly are known to be legitimate and worth pursuing, but it does mean that not every single scholarship that fits a student’s needs is going to appear there. But why focus solely on the smartphone? It seems awfully limiting at first — after all, there are comprehensive sites like Fastweb that are meant solely to help kids find ways to pay for school. According to Gray, it’s all about accessibility, especially considering many of the students who could use those scholarships the most may not have the means to search for them on anything but a smartphone. Gray, who managed to amass a whopping $1.3 million in scholarships to fund his education, isn’t alone. The Pew Research Center reported in 2010 that 21% of teenaged cell phone owners who didn’t use traditional computers to go online instead used their mobile phones for internet access. Considering how we’re right in the middle of a golden age of mobile telephony, I wouldn’t be at all surprised if that number grew over the past few years. “You can email yourself the list if you have to go to the library,” Gray added. “You don’t have to waste time trying to find scholarships — you can just apply for them.” That said, the three person team is working on closing the circle and letting would-be scholars apply for those scholarships directly from their phones. 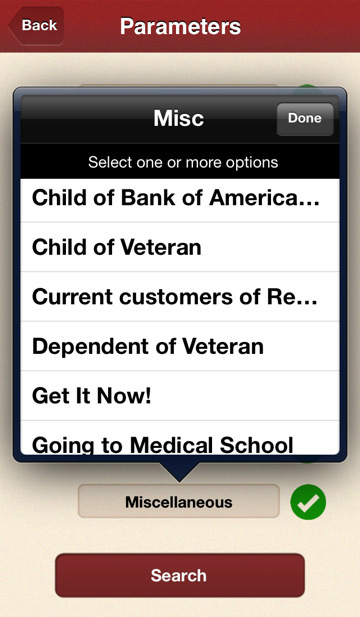 It’s hard not to look at Scholly as a labor of love, but Gray is gearing up to turn the app into full-fledged business. The team has worked up a pretty savvy B2B angle here — iOS and Android users can download the app for $0.99 a pop, but Gray said they’re talking with banks and organizations to allow them to buy the app in bulk and make it available to students en masse for free. There’s also talk of potential white-label deals in which partner organizations can throw their own coat of paint over the app for distribution, but Gray wouldn’t confirm how far along those discussions were.